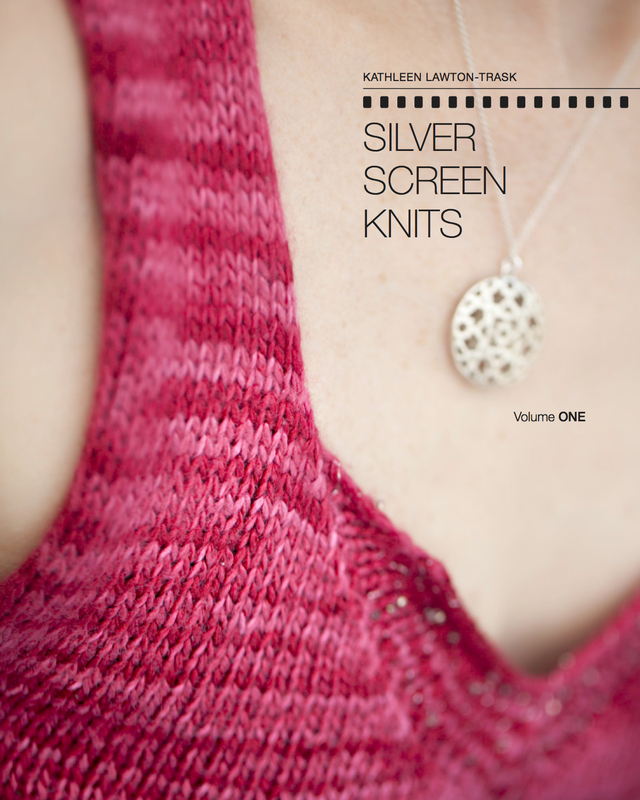 Stash Giveaway I is Over; Long Live Stash Giveaway II | Knit Like You Mean It. 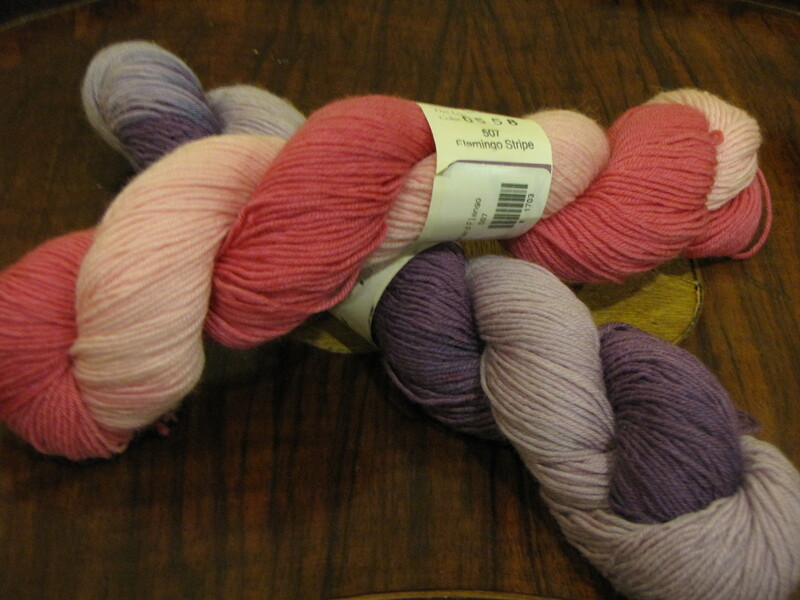 Lorna's Laces Shepherd Sock Yarn: Comment on the Blog and Win! Ladies and gentlemen, we have a winnah! Anne has won the Wensleydale Aran from Cross Lanes Farm. We of course will require her to send us photos of her knitting with it, and even of a finished object if she gets that far (we don’t want to put any pressure on her, people). Don’t despair, though, because today is another day, and the next seven days are another Stash Giveaway Week. Leave a comment on the blog between now (Friday at 7:15 a.m. EST) and next Friday (at 7:00 a.m. EST) and you could win the lovely Lorna’s Laces Shepherd Sock yarn (rav link) pictured above. One skein of Flamingo Stripe and one of Amethyst Stripe have been stored in airtight containers and are waiting for you in my non-smoking, one-cat home. These were purchased at the sadly now-defunct Knit Happens in Alexandria, Va., and spent some time hibernating in my stash before demanding that they be let out into the great world to become socks for some lucky knitter. You’ll notice that these are two different colorways. Each colorway should make two socks for the average person (as in, one who doesn’t have feet as large as Mr. Trask’s), but you are encouraged to make four and mix and match your socks. They can be fraternal twins! Those of you who have met me in person know that my socks rarely match. [I do like them to have similar weights, though.] So make one pair for yourself and one for a friend…or keep them all for yourself. It’s not selfish if you’ve made them with your own two hands. The rules are the same as they were last week: comment on any post on this blog in the next week, and you’ll be entered to win. Good luck! OOO… Annika would love those colors. Wheee!!! Me again. Okay, so this would be just what i need to finally bite the bullet and learn to turn a heel. I know it can be done. BTW, did finally post more knitting pics on my blog. Soooo, come on random number generator, pick me pick me!! I would finally have to take the sock class! I love hand knit socks and have all kinds of sock yarn, but haven’t attempted any yet…I know…my bad! I’ve heard wonderful things about this yarn but never had the pleasure of cuddling it. And sock yarn makes the most gorgeous shawls! Pretty, pretty, pretty! I’m not a sock kniter, but for our San Fransico weather, sock yarn is better than heavier yarns for hats. These look like great colors – count me in! What lovely colors! Please enter me, and thanks for the givewaway. I hope this isn’t a dup, but I didn’t see a message that you are screening. The yarn is lovely, please enter me and thanks fo the giveaway. So many great comments! I love how enthused you guys are about free yarn. Oh, and those of you who haven’t commented before may see a lag – I have to approve your first comment (but after that your comments should show up in real time). I also love all the ideas for making something other than socks (hats, shawls) out of sock yarn. See, Consuela, this yarn could work for you too! My feet are large enough to require extra sock yarn. I hope they aren’t quite as big as Mr. Trask’s, but you never know. …no one’s feet are as large as Mr. Trask’s!